Is a tiled roof in Adelaide more expensive? Is a Tiled Roof More Expensive? If you’re reading this right now, you may be wondering whether a tiled roof is more expensive, and are likely comparing different materials in order to make an informed decision. The short answers to your question is that a tiled roof will cost more over time to maintain, and comes at a cost you may not expect. Weight is always an important consideration when undertaking roof replacements in Adelaide. Generally, concrete roof tiles weigh almost twice as much as clay roof tiles. In some cases up to 60kg per square meter. If you’re building a particularly large roof space, the combined weight of many roof tiles places immense weight on your support structure and requires additional structural reinforcement. As a result of additional labour and materials, the cost of your roof replacement increases. That is why if you’re looking for a lightweight roofing material, Colorbond roofing is the best choice coming in at 5kg per square meter. Although it may seem obvious to choose clay tiles instead (given lower weight and water absorption) – they are more expensive to manufacture and prone to a host of issues below. If you’re looking for a maintenance free roof replacement, a Colorbond roof is the right choice. A tiled roof can host solar panels; however radiant heat may affect the performance of the panels. Not many people know this, but concrete and clay roof tiles absorb heat and radiate it outward when the temperature drops at night. Given the intensity of summer in South Australia, this is an important and often overlooked consideration. In contrast, metal roofing allows heat to quickly pass through and may heat up the space inside the ceiling quicker but also dissipate quicker. Generally, solar panels will be most effective under certain temperatures, and given the heat absorption quality of tiles, your panels would stay warmer for a longer period of time. As a result of extended heat radiation, the performance of your panels may be affected, which takes detracts from the cost and energy saving value of your solar system. Here at Roof & Render SA we always we believe in getting it right the first time. That is why we recommend installing a metal roof for ultimate dependability, value and aesthetic appeal. With 98 years in the trade, we offer unmatched expertise that is sure to leave extremely satisfied with your roof replacement. all it takes is as little $75 per week to get started. Roof & Render SA is a family owned business established in Adelaide back in 1921 providing old fashioned customer service and advice. 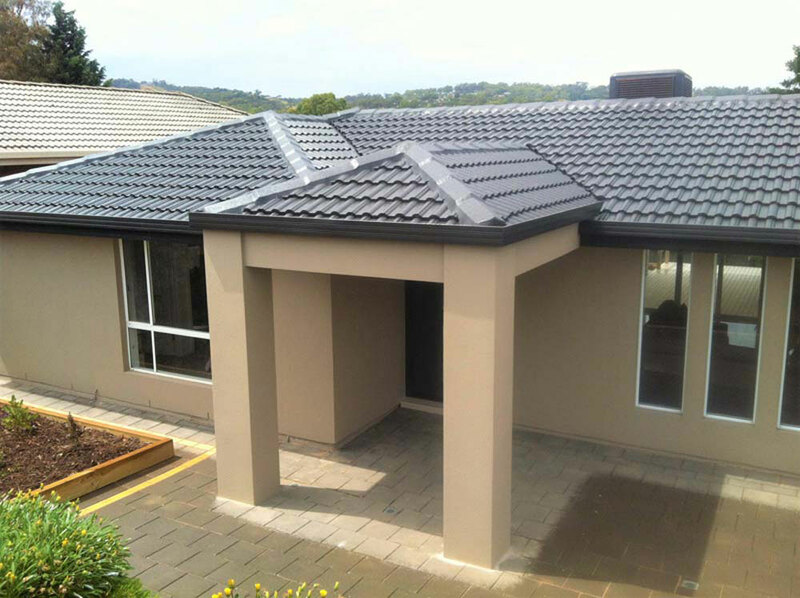 We are Adelaide’s most experienced when it comes to Roofing. We employee all our trades to ensure you a quality finish, back all our work with a 10 year warranty and guarantee our customer service, so you can be confident when choosing Roof & Render SA.